Communities are comprised of a diverse mix of people, functions, and uses. The built form that we give to communities helps to foster connections and communication: it becomes the stage for our culture. Toon Dreessen Outgoing pres of OAA & Dreessen Cardinal Architects. Committed to cultivating a dialogue with the public about the value of architecture to society. Sir Edwin Lutyen, British architect and visionary, was called upon to design a new capital for the British rulers of India. His brief was unambiguous, the new capital should match, if not improve upon, the grandeur and vastness of the worldâs best cities, yet capitalize on the intricacy of the Indian architecture. 2800 acres of land was carved outside the old city, away from the hustle and bustle of Chandni Chowk and the ramparts of the Red Fort. With a free hand to draw as he pleased, Lutyen sketched out the flowing lines of New Delhi - the Rashtrapati Bhavan (Presidentâs House), the Parliament, the magnificent drive or Raj Path from the Presidentâs house to the India Gate and the Canopy beyond for the statue of King George. 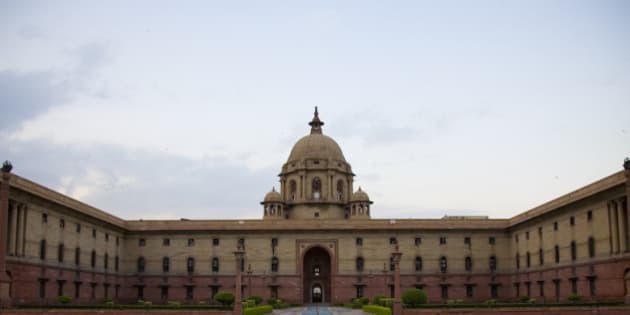 Offices of the British Resident, the North and the South Blocks, flanking the side of the Rashtrapati Bhavan melted into the buildings that housed the local administration. Deep set and overlooking the large greens dotted with small streams and fountains and planted with the saplings of the shade-giving and water-conserving Jamun tree, the gracious India Gate lawns were regal in their splendour. Single destination buildings serve a single function, obviously, so they become like a single experience, rather than a layered multiplicity of experiences. Think about a shopping mall on the edge of town. When stores are open, this mall becomes a destination, however when the mall is closed, there is no life and no purpose to the destination. But today we are seeing an increasing trend in architecture towards creating multi-point experiences through community-focused design. We might have people living nearby a grocery store, with restaurants or cafes next door. If, nearby, there are art galleries, other shops and residences of different sizes, uses, and price points, we can create a diverse community, bringing life to a space at different times for many different reasons. This is key to building vibrant neighbourhoods and lively communities. 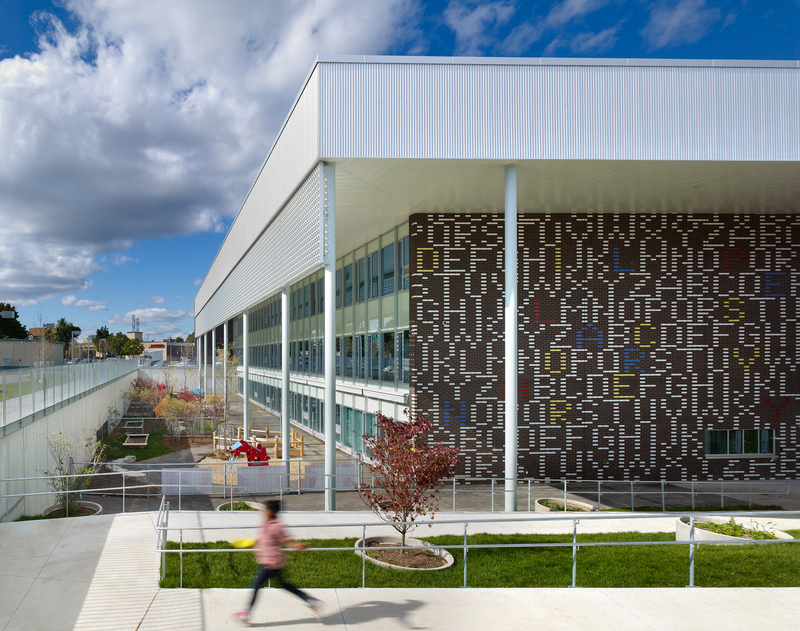 Reflecting this shift towards a community-driven focus in architecture, the winners of this year's Ontario Association of Architecture Design Excellence Awards have all demonstrated a refreshing architectural trend: architecture is becoming a tool to bring people together through design. People experience architecture through the use of the space and direct interaction. Public buildings are successful because they allow us to explore visually and physically. The Ismaili Centre is a beautiful, carefully crafted new building set in a large park. 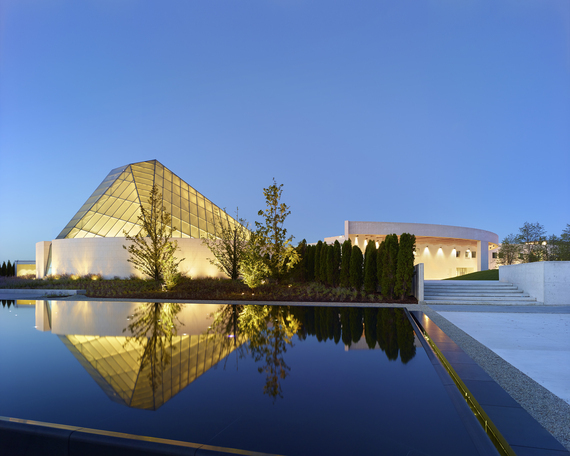 It shares the site with the Aga Kahn Museum and works with the museum to complete a cultural complex that introduce the North American public to the traditions and triumphs of Islamic art and culture. Overlooking the Don Valley Parkway, tens of thousands of commuters pass by this jewel of a building every day. Its striking design reflects the way that it serves the public. If even only a fraction of them express curiosity in what the building is, or pull of to discover this new place, it has served as a tool for education and human connection, opening hearts and minds to create bridges of understanding across different cultures. A successful piece of architecture is not a stand-alone entity. It should take a broader look at the needs and makeup of the community in which it is situated. Architecture can be used to improve the community through thoughtful and innovative design. One of this year's Design Excellence winners, the Fraser Mustard Early Leaning Academy, for example, has enhanced the way children within that community learn. With extra wide corridors and connecting ramps instead of stairs, the building is designed specifically for children under six. The design inspires confidence in kindergarteners. But it stands out for more than the way that it has reinvented the learning experience. It also met the needs of the growing community, accommodating 700 new students on an existing school site, so that residents of the surrounding high-rise towers can walk their children to school, rather than separating siblings and sending little ones on a bus. In a community of predominantly new Canadians, the building brings together parents and children from diverse backgrounds in a shared experience. The design of a building isn't limited to its footprint. It impacts the broader community. This includes relationships to public transit, impact on municipal infrastructure, the environment, and the social patterns of our culture. The Vale Living with Lakes Centre in Sudbury, for example, treads very lightly on the landscape and works to reverse a century of ecological damage caused by industrial activity. 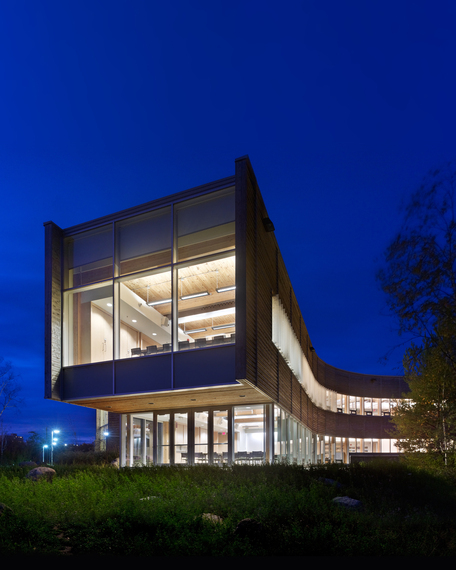 The building's sophisticated design actually cleans rainwater that falls onto the site before it returns to the lake. With specialized laboratory spaces for scientists, and functional spaces for community events, it fosters collaboration and innovation. Ultimately, by creating connections between buildings, their occupants and their communities, this year's list of OAA winners represent the fact that architecture shapes people's lives, and how this can manifest in very different ways. Through building social connections to other cultures, and people of different backgrounds and economic strata, we create a deeper understanding of each other, building a compassionate society.